The route covers a total distance of roughly 15.000 km from Germany to Turkey, through the Caucasus and Central Asia to China. I will depart in Gengenbach in the Black Forest and the “finish line” is the Yellow Sea in Eastern China, east of Beijing. The initial plan was to cycle through Afghanistan, Pakistan and India, but for reasons that need not be explained further, this route can only be pursued at great risk at the moment (leaving the Karakorum highway for a later trip).The route makes it necessary to cross the Alps in February. This is necessary because of need to cross the mountain passes in Central Asia, which are up to 4,600 m high (just over 15,000 feet) during the summer months. 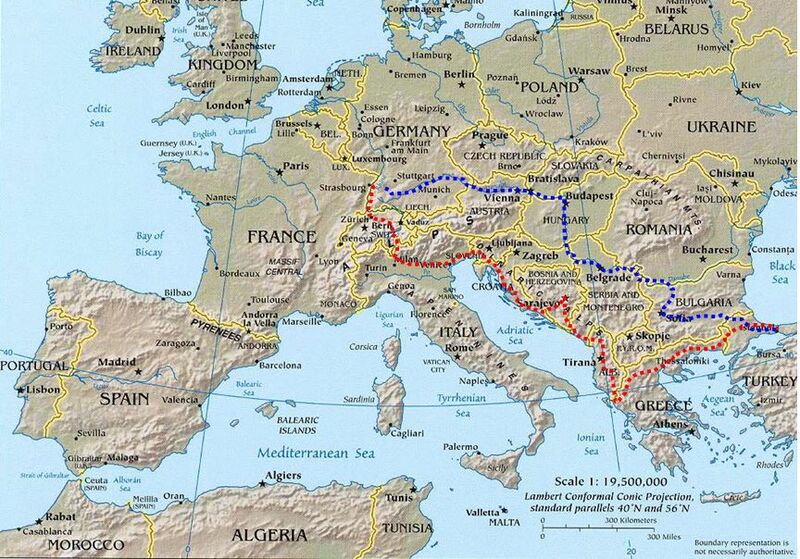 After crossing the Alps, the route continues south along the Balkans towards Greece until I will reach Istanbul where I will be leaving the European continent. Weaving through Turkey, I will head through the mountains of the Caucasus (Georgia, Armenia and Azerbaijan) and through Iran towards Central Asia.Through previous professional trips into the region in the context of human rights projects, I have been able to establish a number of contacts through which I hope to be put in touch with locals in order to gain more insights into their lives. Physically, it will be the mountains of Central Asia and Western China as well as the deserts of Turkmenistan and Uzbekistan which will present the greatest challenges during this trip. The Pamir Highway covers long distances at high altitude, something that will be no small feat with a loaded bike. 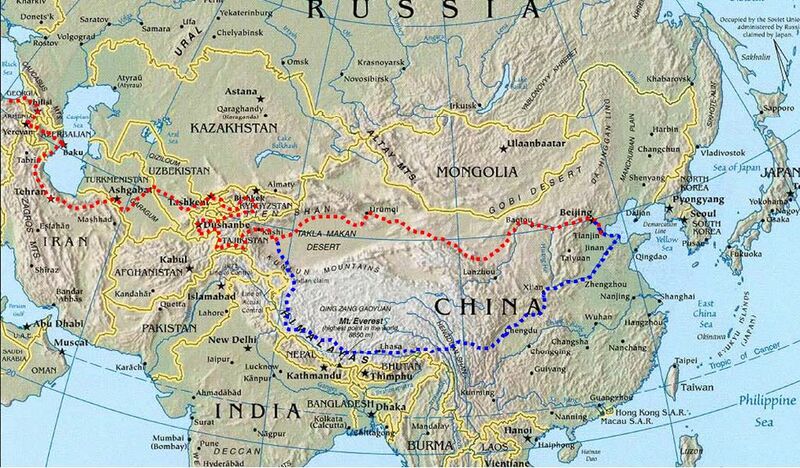 Finally, I will be crossing the northern part of China (including the Taklamakan desert) and will hopefully arrive in Beijing and then at the Yellow Sea after having covered 15,000 km. My goal is to be in touch with as many locals as possible. Throughout the entire trip my contacts through YFU will be especially valuable in getting to know local cultures and customs - not by watching festivals, but through having an insight into their everyday lives.The red-dotted routes mark the initial route, the blue-dotted line is an alternative (time and weather permitting in the case of China). All maps are courtesy of the Perry-Castañeda Library Map Collection.